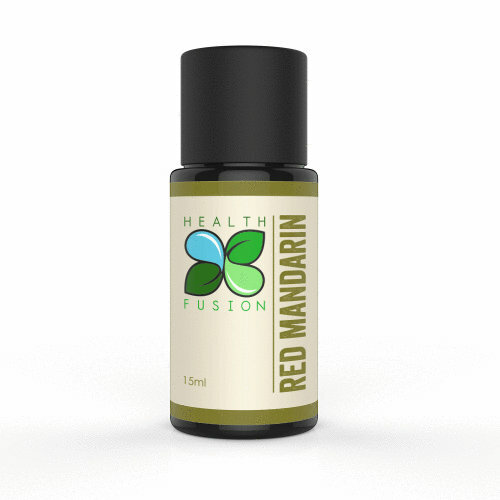 Red Mandarin – Health Fusion Mandarin (Citrus nobilis) 100% Pure essential oil is grown in Italy & extracted from the peel using ONLY a cold pressed extraction method to yield a more beneficial & therapeutic oil than a stream distillation method. Red Mandarin oil has a very sweet, citrusy, uplifting & inviting aroma & is often used to aid digestion or liver issues. Mandarin is also used for acne, congested or oily skin, scars, stretch marks, as a toner or for obesity & fluid retention. Mandarin is considered helpful with pms, menstrual cramps, detoxification, insomnia, nervous tension & anxiety, restlessness & as an aid with lymphatic circulation.